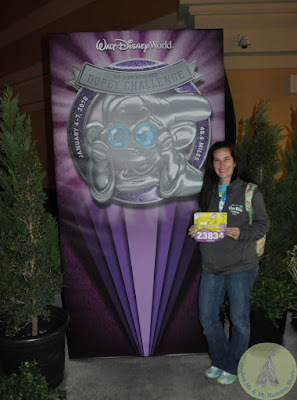 Yesterday, I shared with you a recap of the 2018 runDisney Marathon Weekend Expo and as promised, here's a video recap of our time spent at the Expo at Disney's Wide World of Sports Complex! There's also a brief rundown of the purchases we made at the expo, so stay tuned at the end of the video for that! This video is part 1 of several video recaps to come so be sure to keep checking back each week as I share bits and pieces of our Dopey Challenge and Marathon Weekend experience with all of you! Seems like pretty soon you're gonna need a fast pass just for the expo! Speaking of fast passes that stinks that the Frozen ride was down for you. Those are really nice shirts this year! You have some great things! It is nice how they logo the sleeves of the shirts. I can't get over the lines though...wooooow. I like the shirts, too! The crowds were insane!